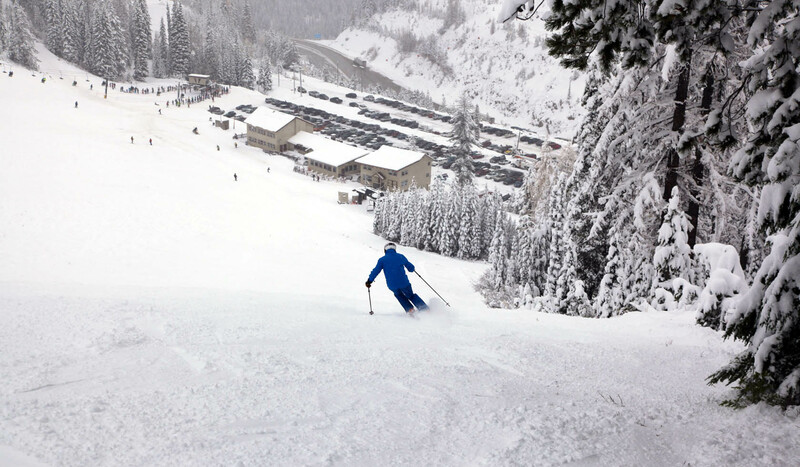 At Lookout Pass, we're committed to providing you and your family with a great powder skiing experience. 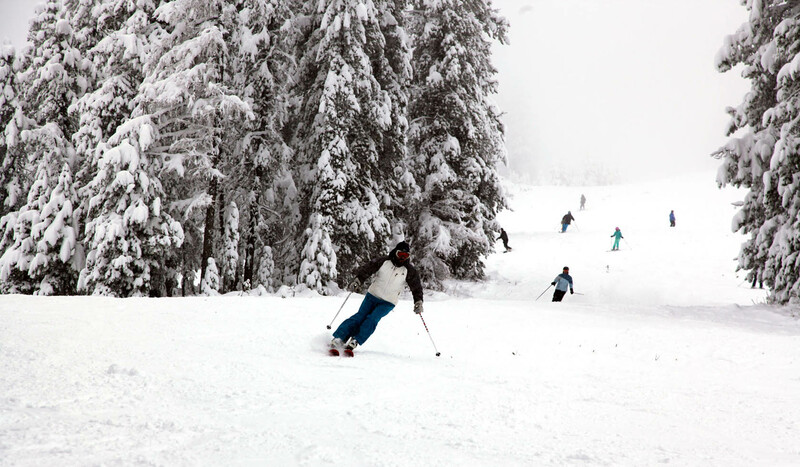 Snow comes early and often and Lookout is blessed with a micro-climate that delivers abundant snow to 550 skiable acres, with 35 named runs and deep powder glades. 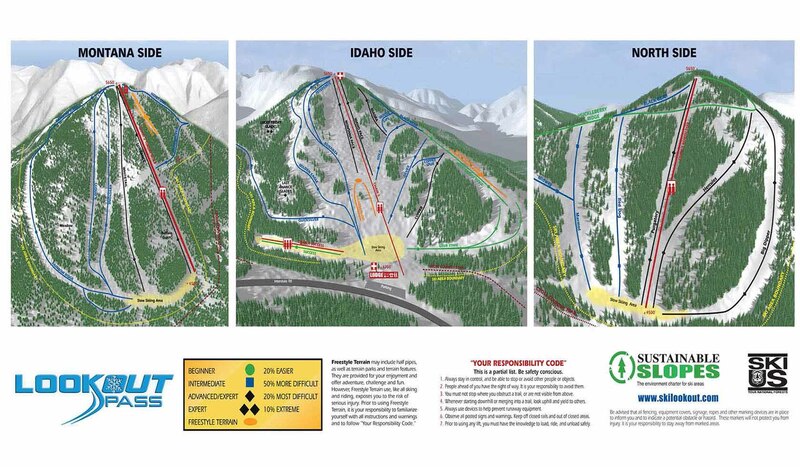 Two terrain parks include Rolling Thunder, a natural-themed park with unique features constructed out of old mine tailings; and Huckleberry Jam, a progression park where beginners can learn tricks on smaller features. New Childrens Ski School full or 1/2 day program available by reservation. Cross country skiing and snowshoeing available on 25K of trails. 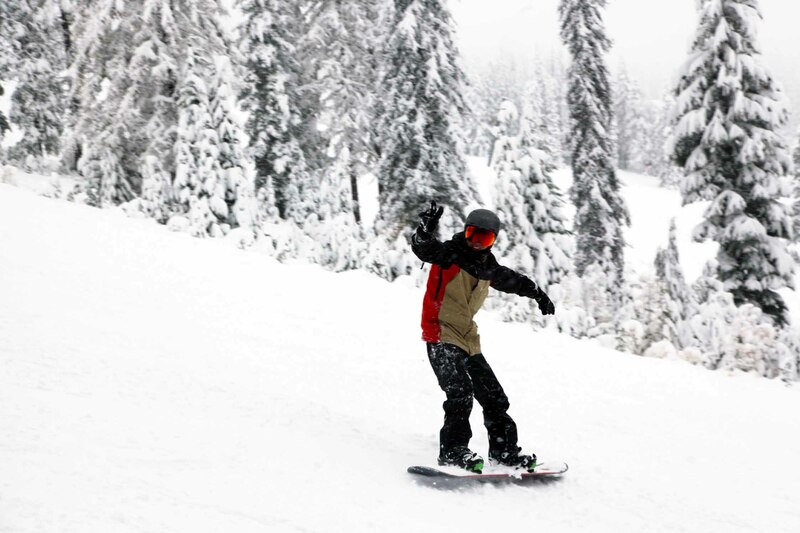 Lookout's Famous Free Ski School offers a 9 week lessons program for kids age 6-17. Our expanded lodge offers a cozy atmosphere, good food, a bar and lounge in The Loft and great selection of ski & snowboard equipment rentals. There's fun for the whole family at Lookout, your #1 Powder Place! Late Oct or early Nov to April - weather permitting. Thursday - Monday in Nov., Dec. Daily from Dec. 13 - Mar. 3 Thurs. - Mon. Rest of Mar. & Apr. Check www.SkiLookout.com conditions report for updates. Getting Here is easy: From Missoula, take I-90 West and head for the Montana/Idaho border. Drive for about 98 miles. Hit the off ramp at Exit 0 ID/MT Border. Our parking lot is 200 yards ahead. In a few minutes you'll be on the snow!